Great content is at the heart of any online marketing program, but great content alone isn’t enough. Everyone in business is now tuned in to the importance of social media, but some people don’t understand the importance of social media advertising. it helps your ranking on the search engines. Google in particular pays a lot of attention to social media activity. It’s important to appreciate that social media works a little differently for business than for personal use, especially on Facebook. If you post something to Facebook, your friends will probably see it. If you post something to your business’s page on Facebook, unless you “boost” the post with some advertising dollars, only about 5-10% of the people who have liked your page will the see the post. For example, one of our clients has 4,000 likes for their Facebook page. We posted something to the page last week without boosting it and 189 people saw the post. SAW – that doesn’t mean they liked, commented, or shared. By comparison, when we boosted a post for $40, 15,488 people saw it and we picked up 184 post-likes plus some additional likes for the client’s page. There’s simply no comparison. LinkedIn does a little better for free, but “sponsoring” an update still definitely helps. A post for a law firm client received 206 “impressions” (views) for free, with two interactions; sponsoring it brought an additional 675 impressions and eight clicks. LinkedIn’s a LOT more expensive than Facebook or Twitter, but it’s also much more highly targeted, so if you’re going after a very specific clientele it can be worth the money. Promoting tweets has an impact similar to what you see on Facebook. Twitter’s a very time-sensitive platform. If you send a tweet without promotion, if your followers don’t check their feeds fairly soon after you send your tweet, they’ll never see it. By promoting the tweet, you give it some “legs”: It will continue to show up in people’s feeds longer. As an example, for one client we spent $270 in a month on Twitter promotion and it generated an additional 47,000 impressions and 302 engagements (clicks, favorites, retweets, etc.). If you promote your content on social media without spending some advertising dollars, for the most part you’re “shouting into an empty room.” Not many people will hear you. By allocating some of your budget to social media advertising, you’re making sure that prospective clients will actually see the great content you’re producing. Content is anything that adds value to the reader's life. These days, people want to learn before they buy, be educated instead of pitched. When creating content, make sure to create your content for real users and readers, not to entice search engines to rank your content better. Stuffing your content with specific keywords with the sole intent of artificially inflating the probability of ranking for specific search terms is in violation of our guidelines and can lead to demotion or even the delisting of your website from our search results. 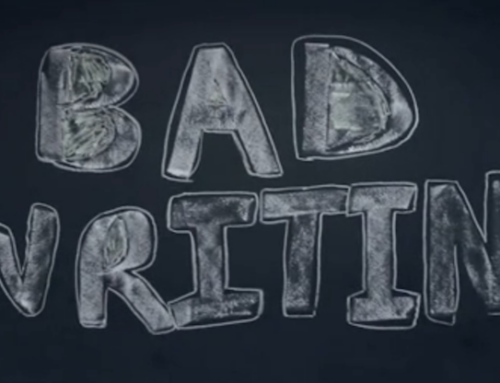 Bad writing makes you look bad. It makes you look careless. It makes you look ignorant. It’s like going to an important business meeting with an enormous gravy stain in the middle of your shirt.